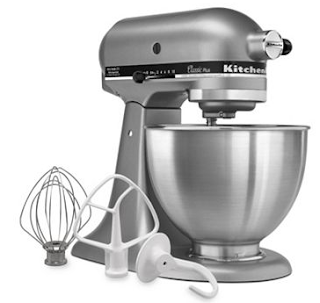 The Coupon Centsation: Kitchen Aid 4.5 Quart Stand Mixer just $120.49!!! Reg. $299!! Kitchen Aid 4.5 Quart Stand Mixer just $120.49!!! Reg. $299!! The Kohl's Black Friday Deals are out in FULL FORCE! I LOVE being able to shop without having to leave the house. Snag a SUPER STEAL on a 4.5 Quart Kitchen Aid Mixer. Earn $45 Kohl's Cash, plus if you spend an extra $5, get $15 more in Kohl's Cash. Finally, submit for a $30 Rebate.